Dallas, Texas USA. Cellhire has partnered with People to People Ambassador Programs, the leader in global educational travel experiences, to fund scholarships for grade and middle school students providing them with an international adventure. 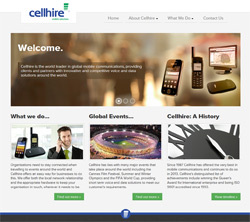 Cellhire is the world leader in international mobile communications and has worked with People to People since 2008 providing mobile solutions for students traveling around the world. The Company has also developed Vismo, a GPS tracking application for smartphones, which provides peace of mind to parents and security for students traveling the world. Cellhire has donated $4,000 to the People to People Ambassadors Foundation to award scholarships to deserving students for unique programs that increase global awareness and foster an understanding of foreign cultures. This understanding is obtained through educational, cultural, and humanitarian activities with the goal of creating global citizens and making the world a better place for future generations. Cellhire is also offering an additional $12,000 in Techno Teen scholarships along with equipment prizing to each winner. The scholarship winners will share their overseas experiences with the world by becoming Techno Teen correspondents, providing real time journalistic updates from abroad. Videographers will receive HD Flip Video Cameras, Photo Journalists will receive Sony Digital Cameras and Bloggers will receive Amazon HD Fire tablets. Grand prize winners in each category will secure $2,000 scholarships toward their tuition and all winners will receive a state-of-the-art Vismo GPS International Phone.